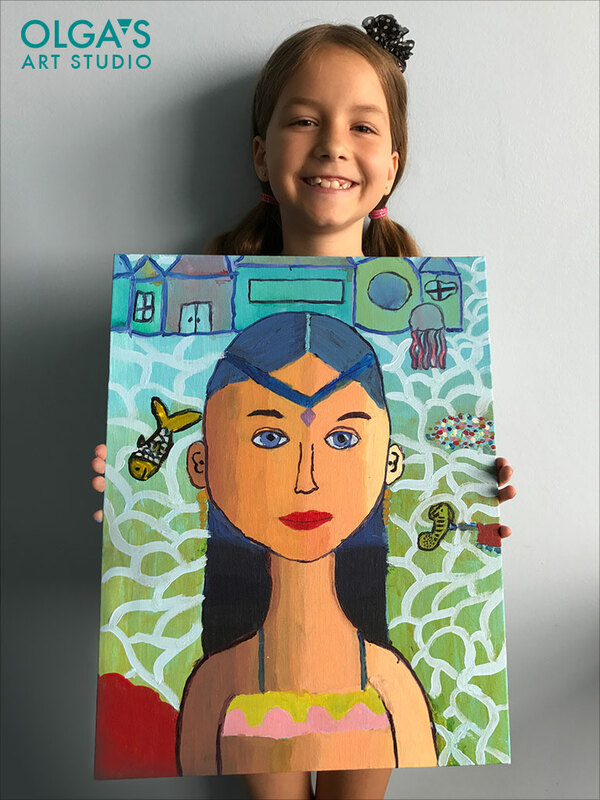 “Mermaid Self-portrait” painting in acrylics by my 9 year old student. This piece shows wonderful creativity and solid understanding of color. 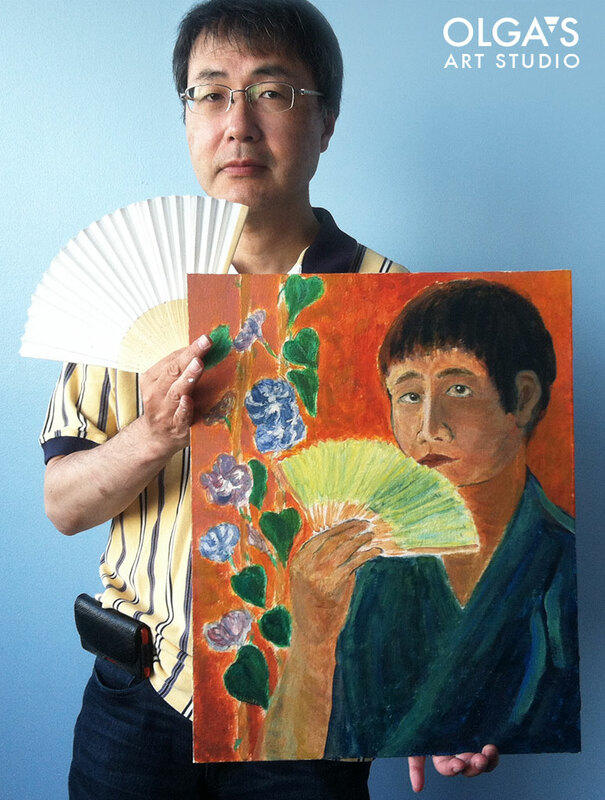 This entry was posted in Portraits, Student Paintings and tagged acrylics, children's artwork, self-portrait on August 21, 2017 by olgaadmin. “Self-portrait” in watercolor by 8 year old Noah. The snake trying to eat a baby crocodile. What a spectacular storytelling and imagination! 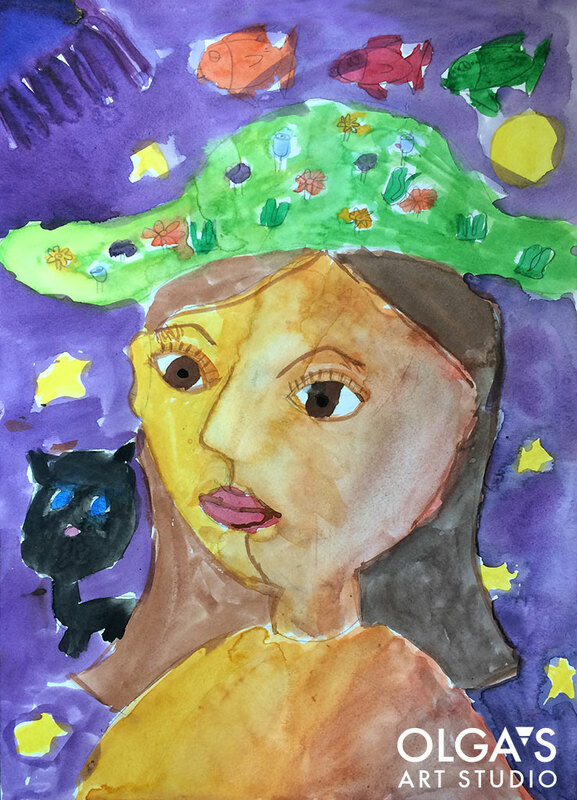 This entry was posted in Children's Artworks, Portraits, Student Paintings, watercolor and tagged children's artwork, self-portrait, watercolor on June 2, 2017 by olgaadmin. “Self-Portrait” acrylics on canvas panel. 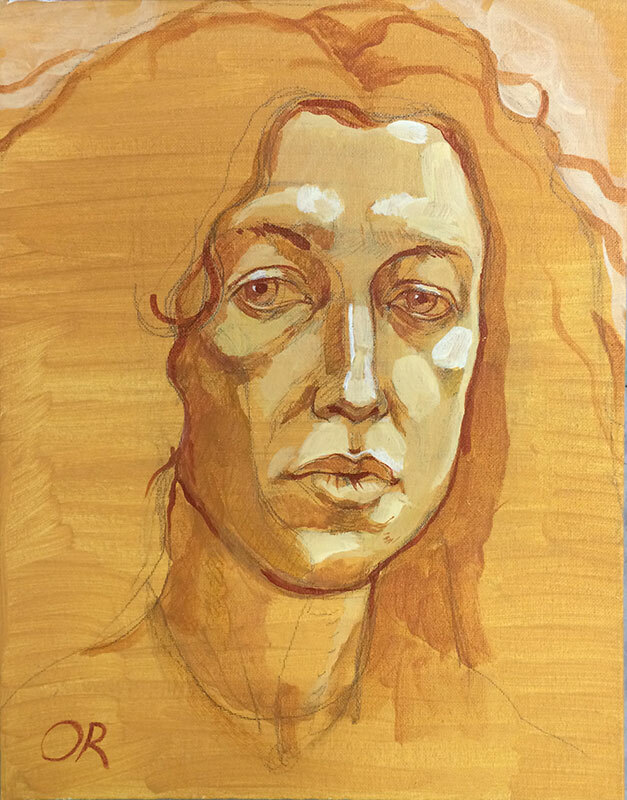 My recent demonstration at Adult Art Class. This entry was posted in Acrylics, Portraits and tagged acrylics, painting, self-portrait on November 28, 2016 by Olga Rogachevskaya-Chu. “Self-Portrait in a Green Hat” by my 8 year old student up close. This entry was posted in Children's Artworks, Portraits, Student Paintings, watercolor and tagged children's artwork, self-portrait, watercolor on November 28, 2016 by Olga Rogachevskaya-Chu. 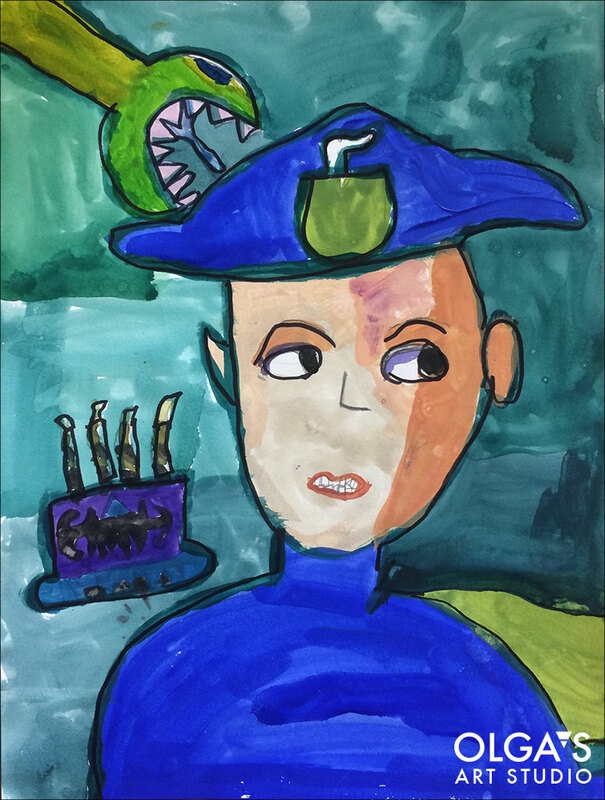 “Self-Portrait in a Green Hat” by my 8 year old student. So proud of her wonderful colors and use of light and shadow. What a great surrealist touch with the flying fish, floral hat, and a black cat! 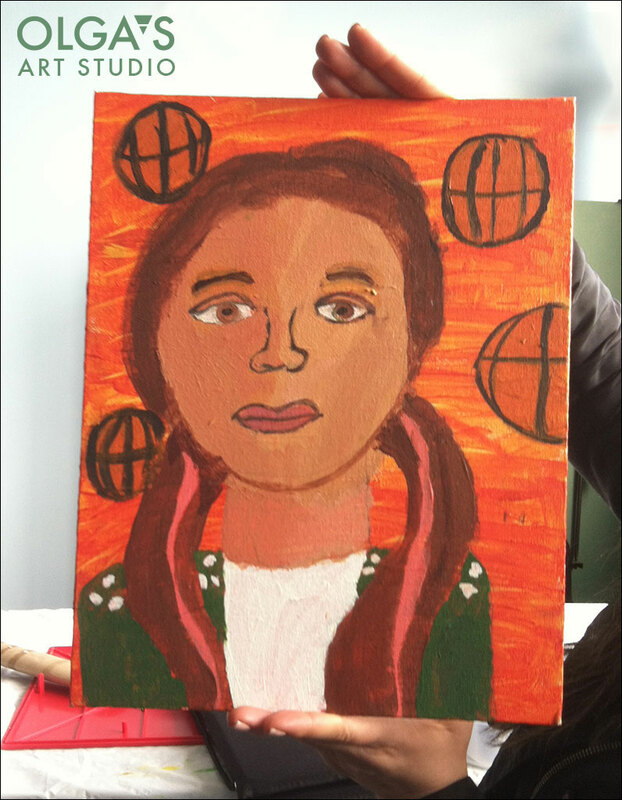 Another wonderful self-portrait in acrylics by Max! This entry was posted in Acrylics, Art Classes, Portraits, Student Paintings and tagged painting in acrylics, portrait, self-portrait on June 27, 2016 by Olga Rogachevskaya-Chu. Sincere self-portrait by 10 year old Lara. She not only captured the mood and likeness but also shows her skills in drawing facial features so well. This entry was posted in Children's Artworks, Portraits, watercolor and tagged children's artwork, self-portrait, watercolor on January 19, 2016 by Olga Rogachevskaya-Chu. Sketching somebody familiar is always fun. Self-portrait in pencil. 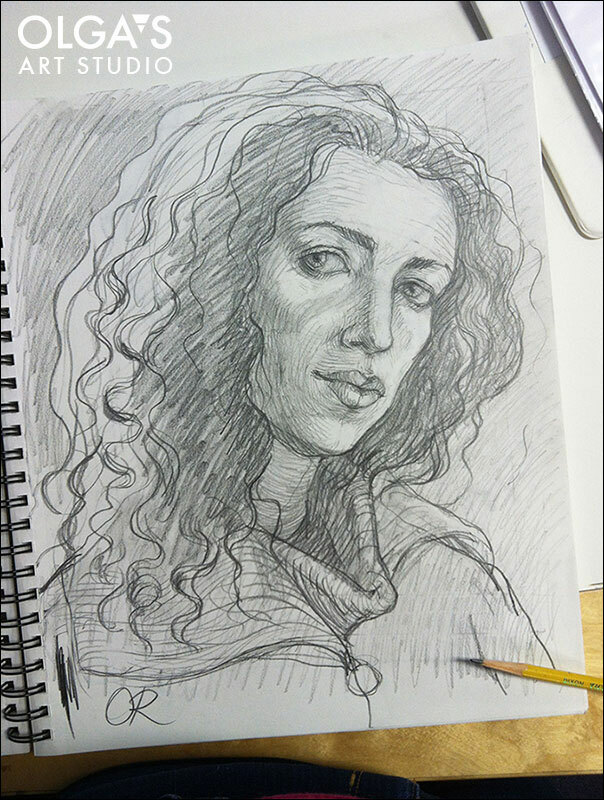 This entry was posted in Drawing and tagged drawing, Olga Rogachevskaya, portrait, self-portrait on December 23, 2015 by Olga Rogachevskaya-Chu. It is a pleasure to see enthusiastic children express their love for art. 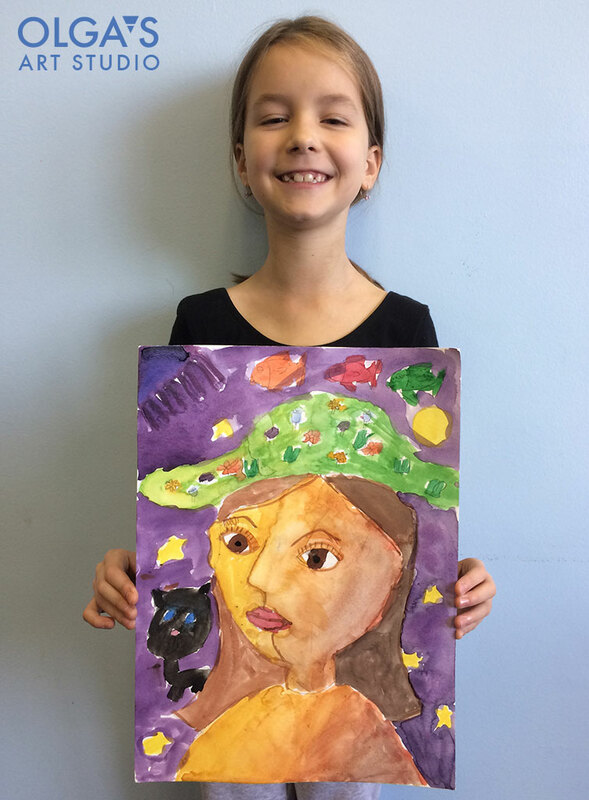 6 year old Mia loves to paint for several hours, she has a desire and a gift for art. Mia painted a a self-portrait with her best friend. Do you know if you child has an undiscovered gift for art? Register your child for our spring classes and discover the artist inside. 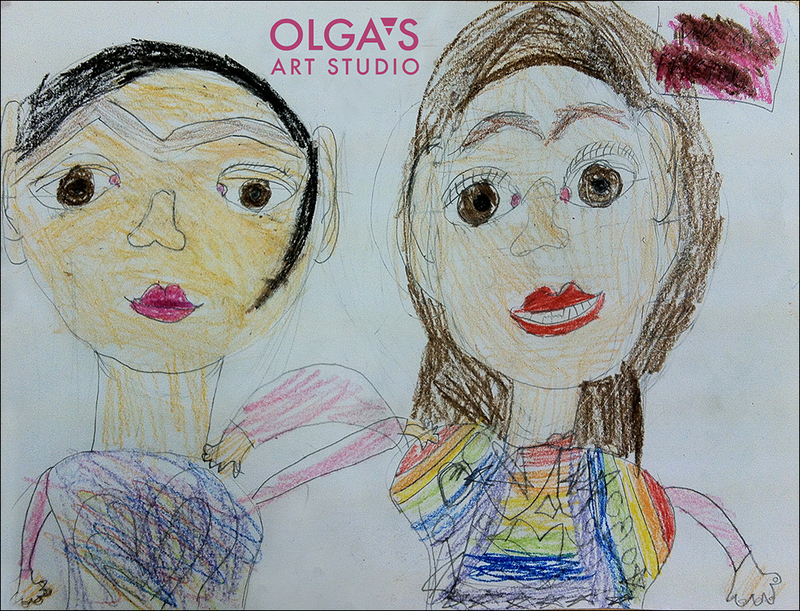 This entry was posted in Children's Artworks, Drawing and tagged children's art class, children's artwork, self-portrait on March 5, 2015 by Olga Rogachevskaya-Chu. We are glad to announce the opening of our Teen Art Class. Kids 11 and up are welcome to improve their drawing and painting skills in a fun and creative atmosphere. Olga demonstrates proper art techniques and teaches fundamentals of art making. She helps students prepare art portfolios for top high schools and colleges. Self-portrait by my 10 year old student trying charcoal and pastels for the first time. 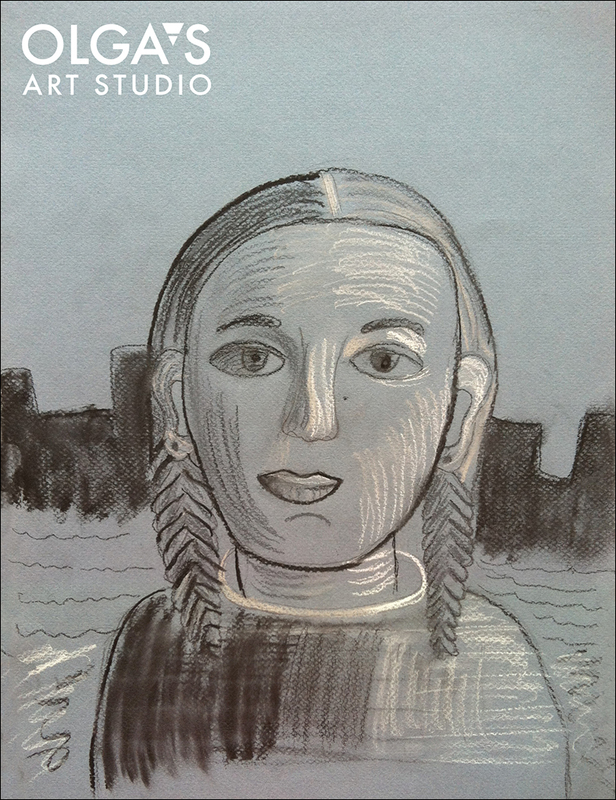 This entry was posted in Art Classes, Children's Artworks, Drawing, Student Paintings and tagged art classes for kids, edgewater art classes, self-portrait, teen art class on November 18, 2014 by Olga Rogachevskaya-Chu.